Robert C. Solomon was hoogleraar filosofie en lid van de Academy of Distinguished Teachers aan de universiteit van Texas in Austin. Hij heeft gedoceerd in Princeton, Pittsburgh, UCLA, Michigan, Auckland en Melbourne. 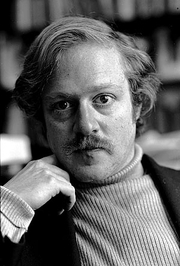 Robert C. Solomon is currently considered a "single author." If one or more works are by a distinct, homonymous authors, go ahead and split the author. Robert C. Solomon is composed of 11 names. You can examine and separate out names.